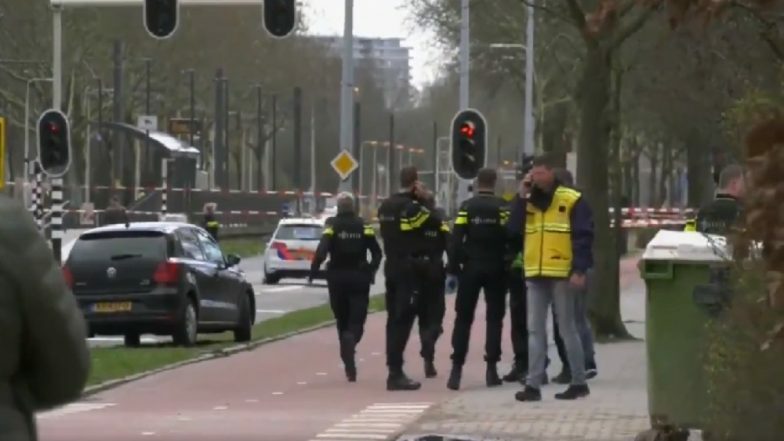 The Hague, March 18: A gunman opened fire on a tram in the Dutch city of Utrecht on Monday, killing at least one person and wounding several in what officials said was a possible terrorist incident. A body covered in a sheet was reportedly seen on the tracks as armed police and emergency services swarmed around the scene in one of the largest cities in the Netherlands. Picture of the suspect Gökman Tanis has been released by Utrecht Police. Police said the attacker was still on the run after the incident. "A shooting occurred on the 24 Oktoberplein in Utrecht... Multiple people have been injured. The surrounding area has been cordoned off and we are investigating the matter," Utrecht police said on Twitter. Netherlands Shooting: Several Injured, 1 Feared Dead as Gunman Open Fire on Tram in Central Dutch City of Utrecht. Every terrorist attack is horrifying and somehow you hope it will never happen close to home. Well this is very close to home! Relieved my family is safe. "It is a shooting incident in a tram. Several trauma helicopters have been deployed to provide help." Dutch Prime Minister Mark Rutte cancelled a meeting with his ruling coalition and was being briefed on the situation, officials said. Police later said that "a possible terrorist motive is part of the investigation". The head of the Dutch national counter-terrorism service, Pieter-Jaap Aalbersberg, said on Twitter that he was having "crisis consultations" over the incident. "NCTV is monitoring the situation in #Utrecht. In close contact with local authorities. We cannot rule out terrorist motive. Crisis team is activated," he said. "Offender still fugitive," Aalbersberg said, adding that the terror threat level had been raised to the maximum of five in Utrecht for the next 18 hours. The Netherlands has been largely spared the kind of attacks which have rocked its closest European neighbours in the past few years, but there has been a series of recent scares.In August, a 19-year-old Afghan with a German residence permit stabbed and injured two American tourists at Amsterdam's busy Central Station before being shot and wounded. In September, Dutch investigators said they had arrested seven people and foiled a "major attack" on civilians at a major event in the Netherlands. They said they had found a large quantity of bomb-making materials including fertiliser likely to be used in a car bomb. The men were arrested in the cities of Arnhem and Weert.